The main draw of this dish is the intense smell and flavor of cumin. Apparently, the source of the name is that in ancient times, Hunan bandits looted people’s homes, including all of their spices. The bandits used the spices to roast chicken, and so when people can smell the fragrance of this dish, they knew that the bandits are nearby! It is more common for this recipe to be used for wings, but I’ve found that it works equally well on drumsticks. In a small bowl, mix together all ingredients except chicken. 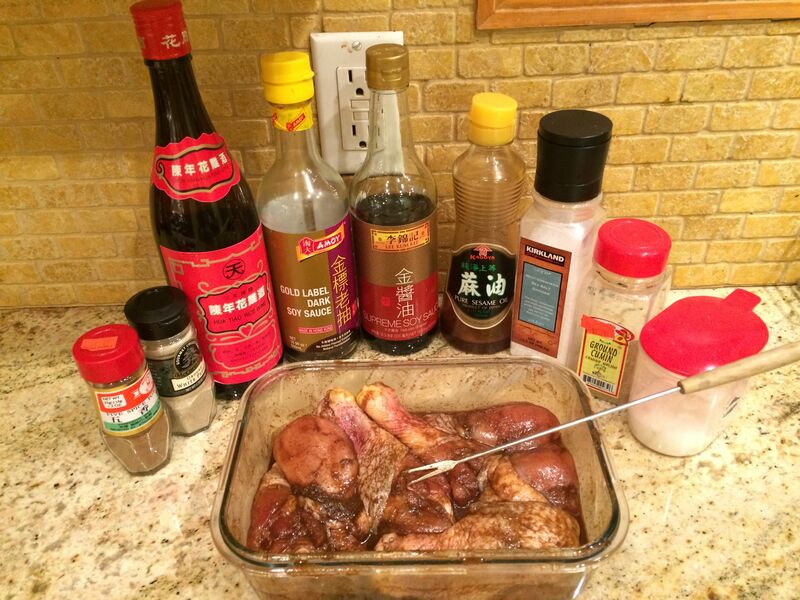 Combine the sauce with chicken and marinate for an hour. 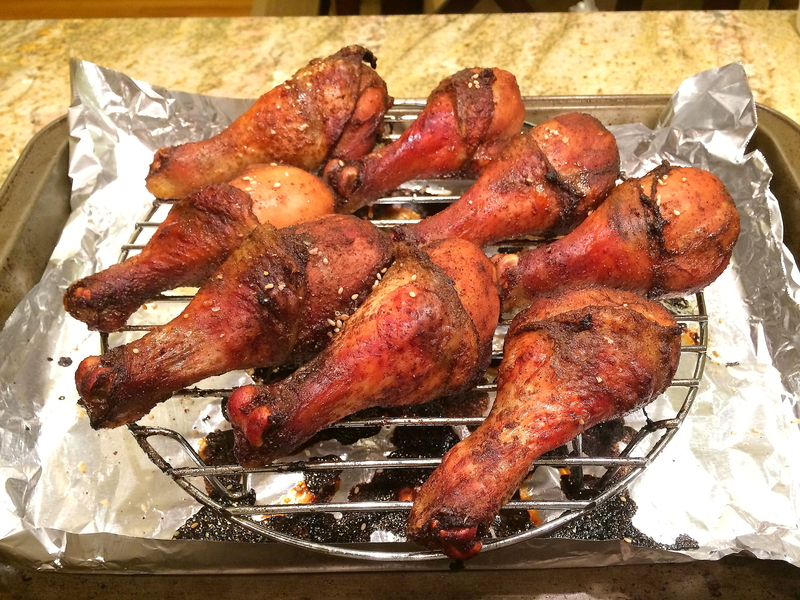 If the chicken legs are not completely covered by the marinade, try to flip them over every now and then. Bake in the oven for 25 minutes at 400°F (205°C) until the internal temperature of the chicken is 165°F (74°C).